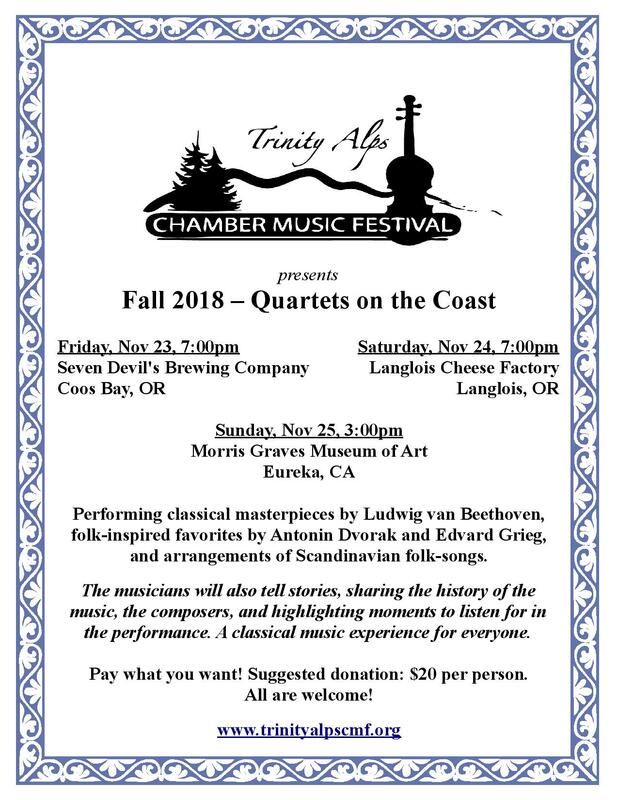 The Trinity Alps Chamber Music Festival returns again to the Cheese Factory. Do not miss this extraordinary event. Their repeat performance is bound to please. 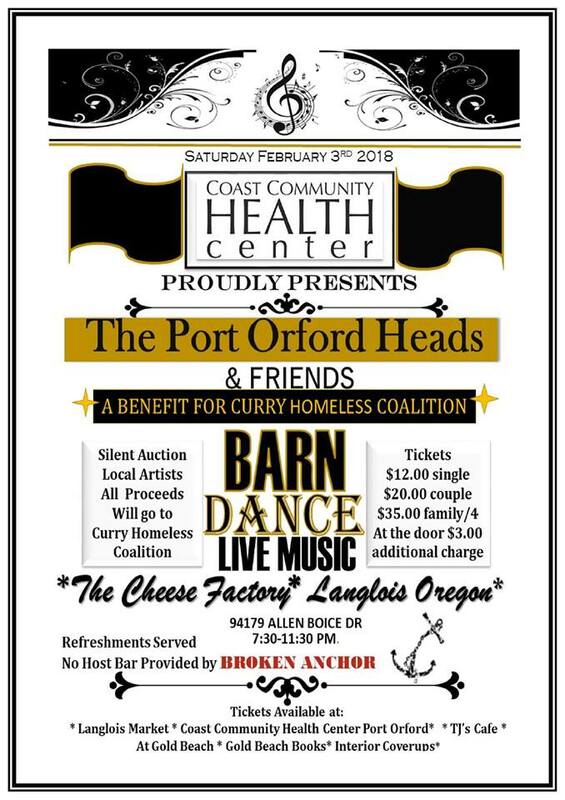 FEBRUARY 9 - VENUE CHANGE - NO LONGER AT SPRAGUE THEATER IN BANDON!. Donation: suggested $ 20. Well worth it.
. Donation: suggested $ 20. Well worth it. From Tokyo to Rome and venues across the US, Ed Gerhard's music has touched concert audiences around the world. 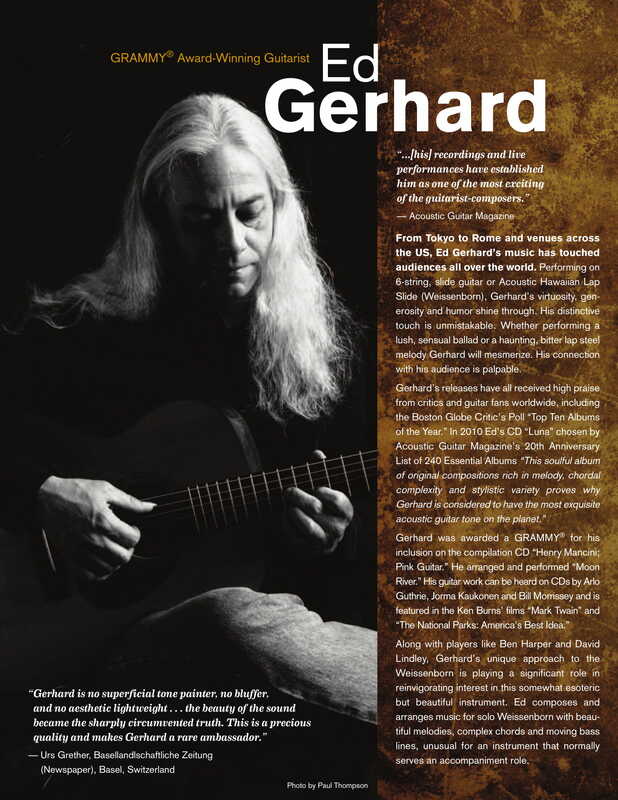 Gerhard captivates audiences with a combination of virtuosity, generosity and humor. Known for his gorgeous tone and compositional depth, Gerhard can move a listener with a single note. 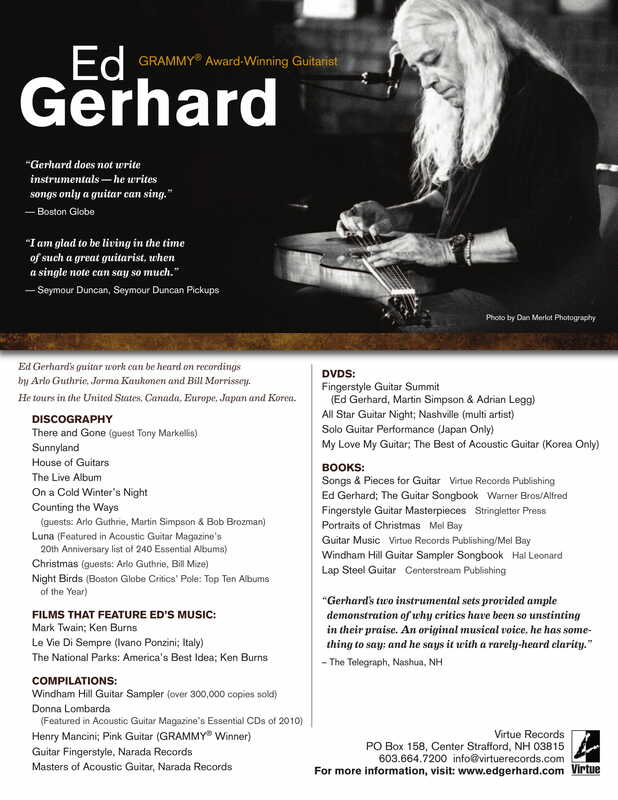 Gerhard will share an evening of exquisite guitar music- performing material from his upcoming CD as well as concert favorites. Performing on 6-string, slide guitar and Hawaiian lap steel, Gerhard combines rare compositional depth with inspired virtuosity. Ed performs on his recently released Ed Gerhard Signature Guitar built by Breedlove Guitars from Bend, Oregon. He has spent the past year touring worldwide to introduce the guitar in China, Japan, Korea, Canada and across the US. Gerhard was awarded the coveted GRAMMY for his work on “Henry Mancini; Pink Guitar.”. His CD "Luna" is featured in Acoustic Guitar Magazine's 20th Anniversary list of the "240 Essential Albums." Date: Friday, June 15, 2018 - 5:00pmSiskiyou Discovery School Presents: The Wishing Stone An original play, performed by the students from the world of the imagination! Free performance TONIGHT Friday, June 15 at 5:00 pm Langlois Cheese Factory All are invited!! Always a great evening with this group from Roseburg. This hrythm and blues band from Roseburg played at the Old Cheese Factory this past spring. They were phenomenal and has 80% of crowd dancing all night. 2-night camping + 2-day ticket $80.00 1-night camping + 1-day ticket $50.00 Pre event sales Friday $10.00 Sat. $20.00 At the Door Friday $15.00 Sat. $25.00 Dogs on leash ONLY in camp area NO DOGS in venue Bring your own lawn chair Bring your receipt, for payment confirmation, to the ticket booth to receive tickets and wrist bands. Pre-order your tickets and save now! 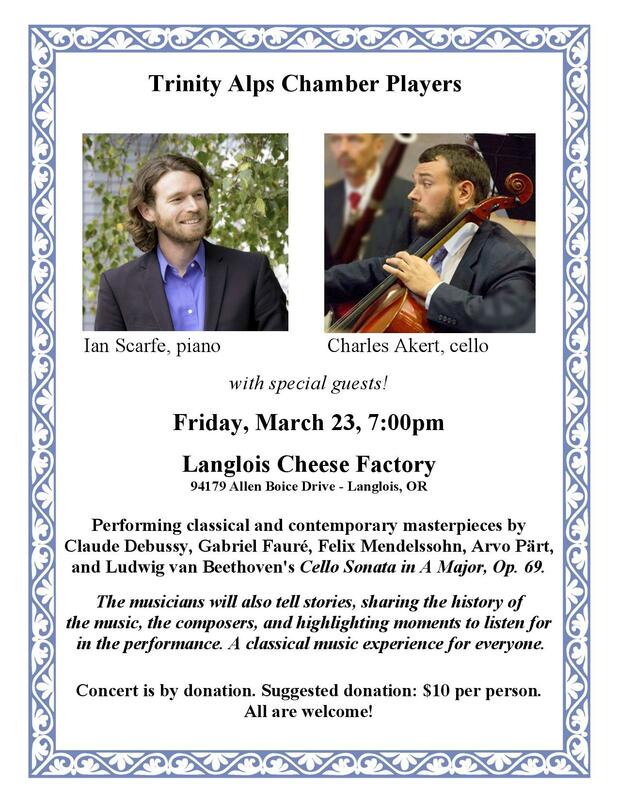 Another wonderful World Famous Langlois event at the Old Cheese factory. Molly Gloss is a fourth-generation Oregonian who lives in Portland. She is the author of five novels: The Jump-Off Creek, The Dazzle of Day, Wild Life, The Hearts of Horses, and Falling From Horses. Her awards include the Oregon Book Award, a Pacific Northwest Booksellers Award, the PEN West Fiction Prize, the James Tiptree Jr. Award; and a Whiting Writers Award. Her work often concerns the landscape, literature, mythology and life of the American West. 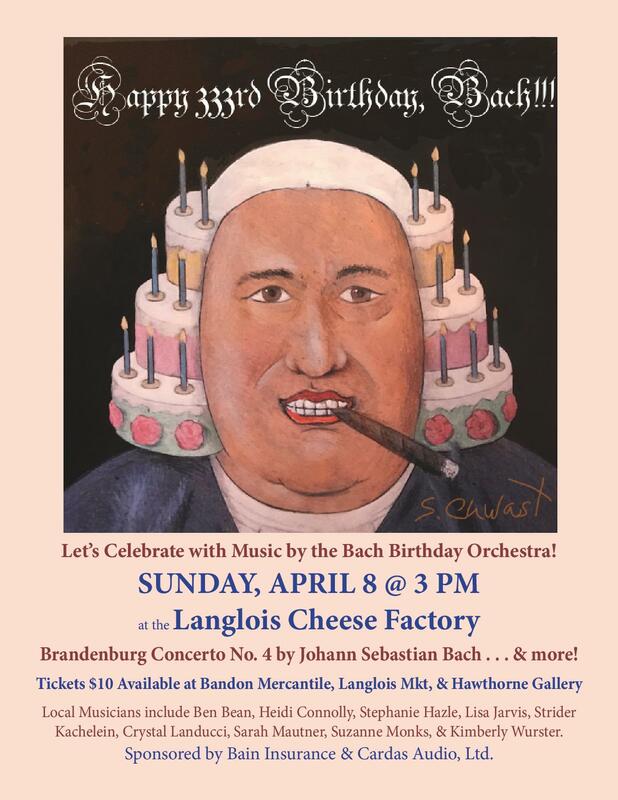 The Crow Quill Night Owls are coming back to Langlois to play a night of ole’ timey, ragtime, blues, jazz, and stomp; Saturday April 8th at the Langlois Cheese Factory. There’s a $13 charge at the door (to cover the event costs), but under 15 get in free. Spread the word --- everyone is welcome! The Crow Quill Night Owls are a band that plays jug band ,jazz, and string band music of the 1920s and 1930s. They were formed in 2007 by guitarist Kit "Stymee" Stovepipe and tenor banjoist" Windy City " Alex. They have since added Baylin Adahere on washtub bass. The band also has a washboard percussionist. backed by a jump jiving brass band that’ll lay down plenty of rhythm to get you on your feet.